Junko Tabei, the first-ever woman on top of Mount Everest, is dead. The Japanese died of peritoneal cancer in a hospital in the city of Kawagoe on Thursday. She was 77 years old. 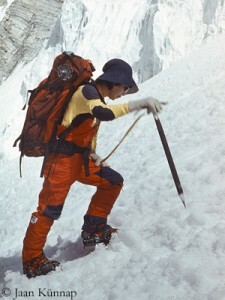 On 16 May 1975, Tabei had reached the 8,850-meter-high summit of Everest after she had climbed the route of the first ascenders Edmund Hillary and Tenzing Norgay Sherpa on the Nepalese south side. It was a milestone in women’s mountaineering. A teacher awakens Junko’s love for the mountains. She takes the then ten-year-old girl along to the 1916-meter-high volcano Nasu-dake. When Tabei, in her early twenties, wants to join a group of mountaineers, she clearly feels the misgivings of the without exception male members. Nobody wants to climb with the petite, only 1.52 meters tall Junko. In 1969, she is tired of it and founds the “Ladies Climbing Club Japan” (LCC). Their goal: “Let us go on an overseas expedition by ourselves!” A year later, Tabei climbs the 7555-meter-high Annapurna III in Nepal. Subsequently, the LCC decides to apply for an expedition to Mount Everest. When Junko Tabei travels to Nepal in 1975, she is already a mother of a three-year-old daughter. 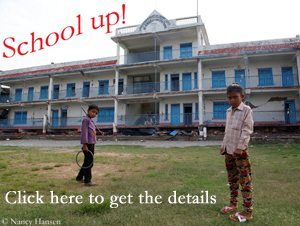 At that time, the government in Kathmandu allows only one expedition per season to climb Everest. The Japanese group consists of 15 women. The expedition is sponsored by a Japanese TV station and a newspaper. The UN have proclaimed 1975 the “International Women’s Year”, the women’s expedition fits in. It almost ends in disaster. On 4 May, the Japanese high camp, at 6,300 meters above the Khumbu Icefall, is hit by an avalanche. “Now it’s over, now I have to die,” Tabei later recalls what she thought at that moment. She can hardly breathe and loses consciousness for a few minutes. The Sherpas succeed in freeing all team members out of the snow masses. 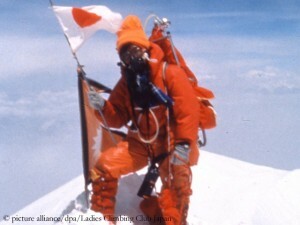 In 1992, Tabei becomes the first woman on the “Seven Summits”, the highest peaks of all continents. 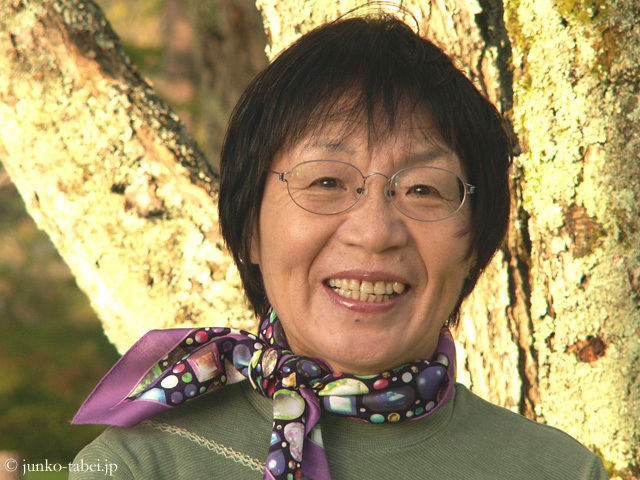 Despite her cancer, Junko’s love for the mountains remains until last. In July, she climbs, along with students, the 3776-meter-high Mount Fuji, the highest mountain of Japan, for the last time. R.I.P., Junko Tabei!